Leonardo da Vinci’s birthday, April 15, opens a time portal for each and every one planet-wide, to free thinking, to consider new ideas, decisions, actions and outcomes – World Creativity and Innovation Week April 15-21. As inspiration, take a look at what is happening around the world here and on twitter #wcid2018, #wciw2018, #worldcreativityweek, #wcid and #wciw. Do what you can in your home, your work, your school, your community, and/or your nation to inspire joy in creating anew. Each time one of us makes a change, we all benefit. Find a way to give new ideas a soft place to land. Show the ways you contribute to the emerging story of planet Earth. Upload your World Creativity and Innovation Week, April 15-21 and World Creativity and Innovation Day, April 21 activities here. Happy World Creativity and Innovation Week, April 15-21! May you safely and effortlessly ride this week’s creative energy to make a helpful difference in your life and the lives of others. Happy to share this video with you – it’s the 15-minute Ted-like speech I gave in Buffalo this past fall at the Creativity Expert Exchange in celebration of the 50th anniversary of the International Center for Studies in Creativity, my alma mater. The founding of WCID is shared, as is the tale of how the day became a United Nations Day of Observance and why that is important. Spoiler alert: it’s centered on using creativity in problem-solving especially with regard to meeting the 2030 Sustainable Development Goals. Imagine applying creative thinking and creative evaluation to assess and address the challenges – to find solutions that work. How World Creativity and Innovation Day, April 21 became a UN International Day of Observance from Marci Segal on Vimeo. 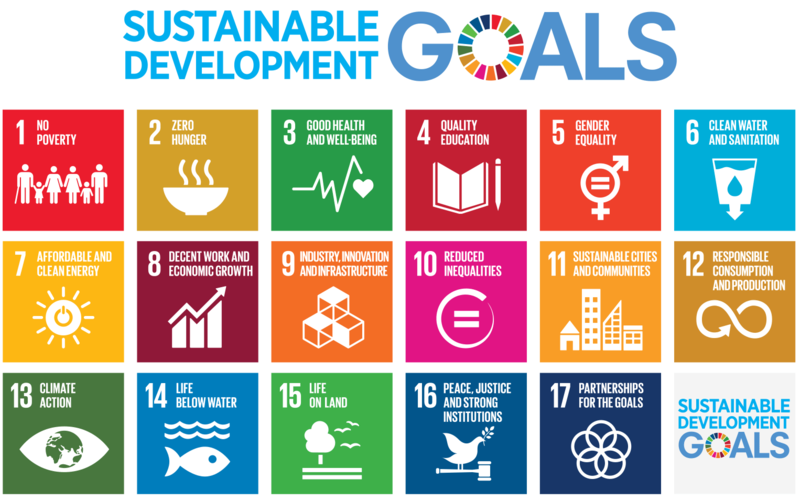 Now scroll further for information on the Global Goals Interconnectedness and see what you can do to help meet any of the goals by reviewing the Global Goals List that follows. The goals’ interconnectedness and influences are spelled out in a paper Water, Peace and Global Security: Canada’s Place in a Changing World, delivered by R.W. Sandford, EPCOR Chair, Water and Climate Security, United Nations University, Institute for Water, Environment & Health at the University of Victoria, British Columbia Jan 23, 2018. “All 17 of the UN’s 2030 Transforming Our World global sustainable development goals can be achieved by realizing the link between water security, climate stability and human and planetary health. Water security means clean water and sanitation for all. It also means managing water on a basin scale which means protecting aquatic ecosystems which improve life on land and life below water which leads to improvements in agriculture which will help end hunger; which also helps to end poverty. Managing water in a manner that will help end hunger and poverty, however, cannot be achieved without industry innovation and infrastructure; but innovation and infrastructure development cannot come into existence without quality education which demands gender equity which in itself leads to reduced inequality. Quality education, gender equity, and reduced inequality lead to economic growth. It is only through economic stability that we will be able to make a smooth transition to affordable and clean energy for all which is a critical step toward climate action. Climate action will help restore planetary health thereby contributing to better physical and mental health and well-being for all. Improved human health and well-being allows an ever more crowded world to react more proactively and be more resilient to growing public health threats like epidemic outbreaks which, in tandem with climate action will reduce the specter of large-scale forced human migration. This, in itself, will lead to peace and justice and strong institutions. Such institutions are necessary to guide humanity toward responsible production and consumption. It is only through strong institutions, responsible production and consumption, clean water, sanitation and climate action can we have sustainable cities and communities. This goal, which seeks to eradicate extreme poverty by 2030. The UN defines extreme poverty as living on less than $1.50 a day. Perhaps most importantly, this goal includes measures to protect those who have had to leave their homes and countries as a result of conflict. The UN seeks to both improve the access that the world’s poorest have to food, and the ways in which that food is produced. This goal focuses on continuing to reduce child mortality, the health of mothers, and combating other diseases. Improving worldwide access to education is a top priority. It calls for free education through high school, rather than limiting it to primary school only. This goal advocates for the elimination of violence and discrimination against women. It also calls on countries to improve women’s social and economic standing. The UN reports that by 2050, at least one in four people is likely to live in a country affected by chronic or recurring shortages of fresh water. This goal aims to improve sanitation and hygiene practices, including access to fresh water, in developing nations by 2030. This goal seeks to broaden both the development and use of renewable energies by 2030, the next deadline date for achieving these goals. This goal focuses primarily on the building of roads, rail systems, and telecommunications networks in the developing world. With urban populations on the rise over the past decade, the world is on a hunt for ways to house, feed, and employ that burgeoning population. This goal seeks to tackle that problem by reducing the number of people who live in slums by 2030. It also aims to reduce the pollution output coming from those urban centers. This goal, a continuation of Goal 6, seeks to improve the access that people in developing countries have to food and clean water, while at the same time improving how food is produced on a global scale. It also aims to address the global obesity crisis. The UN’s Sustainable Development Goals looks at quickly and efficiently reducing greenhouse-gas emissions in both developed and developing nations. The UN is also interested in protecting creatures on land, with an emphasis on reducing deforestation and desertification. In keeping with practices established with the 2000 Millennium Development Goals, the UN continues to envision a global framework of support to make sure that its goals are realized. See what you can do. Release human potential for a purpose. What can you do for World Creativity and Innovation Day, April 21? George Land‘s 2011 TEDx talk came across my Facebook feed today. I will always remember the class he guest taught. George asked us, undergrads at the International Center for Studies in Creativity, to practice using divergent thinking. Even though we already knew how – he took our capabilities far further. “Write down 5 of your strengths,” he said, “then draw a line.” After we finished, he said, “Now do it again.” This exercise went on for an hour and 40 minutes. Five strengths and a line, five strengths and a line. It was grueling. By the end of that class, I realized I had strengths that I never knew about – like having brown hair, or breathing, and being able to laugh and cry. My perceptions and appreciation of strengths forever changed that day. In school we practiced using our imaginations on a regular basis; we’d learned techniques by which to stretch and then focus thinking to make something of it. When I saw George’s TEDx talk, I was reminded of that. I was also reminded that not everyone has the same experience using their imaginations; many may uncomfortable or shy away from using their imaging capabilities. Think that might be you? if so, what if you began an imagination practice for World Creativity and Innovation Day, April 21 as George suggests at the end of his talk, to bring out your latent genius. Then, with practice, you can apply using your imagination on challenges to create new ideas, make new decisions, take new actions and achieve new outcomes. Seriously, watch this video all the way through. George gives basics behind what we all need to be capable of to create the world of tomorrow and to align with and meet the 2030 Sustainable Development Goals – to use creativity in problem-solving to make the world a better place and to make our place in the world better too. Spoiler alert: George is going to mention the accelerator and the brake. Watch out for that. Want an imagination practice buddy? Why not? Take George’s advice at the end of this video, ask a friend to help generate other similar kinds of exercise and see what you accomplish. It’ll be good for your brain, good for your body, good for your future. Creativity question: When are people most likely to express their creativity? When are you most likely to express your creativity? Wouldn’t that be a great question to ask/talk about/share over dinner during World Creativity and Innovation Week April 15 – 21? Today’s find, The Science of Our Optimism Bias and the Life Cycle of Happiness, relates Tali Sharot’s research presented at 2012 TED. “Optimism starts with what may be the most extraordinary of human talents: mental time travel. That is, the ability to move back and forth through time and space in one’s mind. To think positively about our prospects, it helps to be able to imagine ourselves in the future. Although most of us take this ability for granted, our capacity to envision a different time and place is critical for our survival. It allows us to plan ahead, to save food and resources for times of scarcity, and to endure hard work in anticipation of a future reward. Here’s an idea – what if you viewed the Ted talk, and keeping sustainability in mind, wonder about how and when you think or feel people are most likely to express their creativity to make a difference? See what you can come with, see what you can do. Imagine starting off a conversation at your next meeting during World Creativity and Innovation Week, April 15 – 21 with these statements from a Tim Brown, IDEO CEO Harvard Business Review article from November 2016. “All of our management practices need to be updated: how organizations are structured, how we deploy capital, how we interact and collaborate with broader networks, what tools and technology we embrace and deploy, what we measure, what markets we target, who we hire and how we lead. Of these, how we lead and the kind of culture we create are the essential starting points. When our goal is efficiency, our concept of governance includes ensuring standardization, high levels of coordination, careful assessment of risk, and, of course, the elimination of waste. When we want to be creatively fit, governance looks quite different. It should be, and feel, more nurturing. It should focus on speed of learning and rigorous experimentation. It benefits from an attitude of abundance. 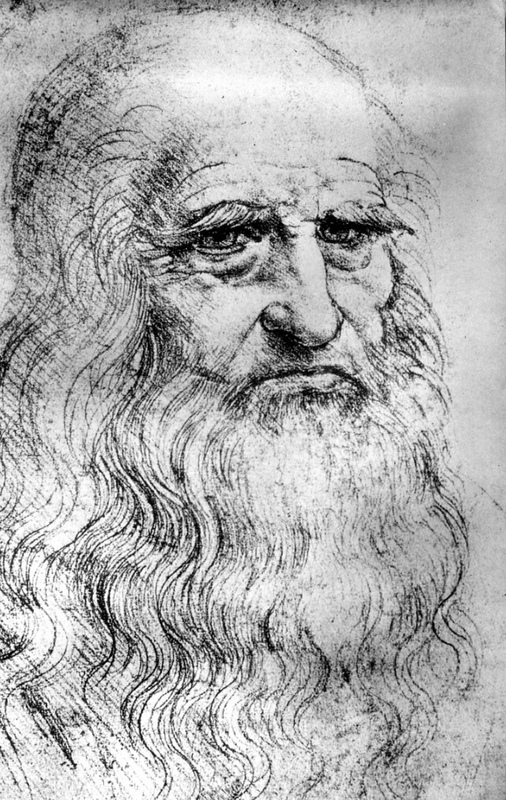 “… the ability to make connections across disciplines-arts and sciences, humanities and technology-is a key to innovation, imagination, and genius.” Walter Isaacson (2017) Leonardo da Vinci. p3. Imagine you have a day of freedom to explore cross-disciplinary thinking, and that you take the opportunity to combine what you’re working on now with sustainable development to create something new, to innovate. You have that day – it’s World Creativity and Innovation Day, April 21. FYI World Creativity and Innovation Week April 15-21 begins on Leonardo da Vinci’s birthday, April 15. Check out where your search engine points when you query his name. Who knows what you’ll find out that you can use for inspiration. To use your imagination… combine two things that by nature have not yet been connected. What if, for example, as a brain warm-up activity, in getting ready for your World Creativity and Innovation Day, April 21 or World Creativity and Innovation Week April 15-21, you combine your next project with one of the sustainable development goals? What new invention, idea, solution might emerge? Happy 40th Anniversary to Why Man Creates. Creativity Principles Learned. Leading up to the 90th Academy Awards Ceremony is a great time to honour the 1968 winner of the documentary short subject – Why Man Creates. 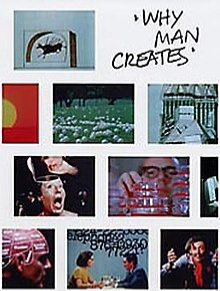 We watched Why Man Creates every semester when I was an undergraduate and graduate student at the International Center for Studies in Creativity at Buffalo State College; from September 1977 through to December 1983. Every semester when our professor, Dr. Ruth Noller, showed it, I’d moan. “I’ve seen it already,” I’d say. “Then find something new in the film,” Ruth replied; like clockwork, every semester. And so I did. Ruth modeled an important principle you can use to fashion your WCID and WCIW celebrations. I learned to look beyond the obvious, to dig deeper, to see new things in the old – skills I use to this day. One scene, in particular, stood out. An artist, who, in creating a sculpture, experiences an insight of grand proportions. He adds this new idea to his artwork and then, puts the sculpture on show. We see the artist dressed like an American cowboy, receiving the comments as if each is a bullet. With each comment, he buckles over as if hit in the gut. This scene profoundly moved me. Still does. Every time I hear an immediate ‘no’ to a new idea, it feels like a shot to the gut. From that I generalized this must be how others feel with rejection, immediate harsh criticism to their new thinking, that, in turn, discourages them from using their creative imagination and contributing new and different ideas, thinking, or potential solutions. Wouldn’t it be great for people to inquire about new ideas rather than judge them harshly and critically upon first learning of them? That’s one of my wishes for World Creativity and Innovation Day, April 21, that the portal for considering new ideas opens wider to enable free use of imagination applied to create a decent life for all on a sustainable planet. I invite you to take a step back in history and to participate in the worldview of the times. Watch the 1968 film. Highlight your connections and insights in the comments section. What principles emerge for you? It’ll be interesting to see the meanings we make today. Creativity signals a restlessness to improve conditions. To explore, discover, experiment, question. We create because we are members of the human race, and the human race is filled with passion. It’s human nature to use the power of imagination to adapt to and initiate change for the better. Once we have the idea, insight, framework, ability to compare what can be with what used to be, we gather with others to innovate; to make it so. Celebrate World Creativity and Innovation Week April 15-21 this year, and every year. Share how you’ll be exercising your passion for new, different, better with the world. Passion Comment adapted from Dead Poet’s Society: We don’t read and write poetry because it’s cute. We read and write poetry because we are members of the human race. And the human race is filled with passion. And medicine, law, business, engineering, these are noble pursuits and necessary to sustain life. But poetry, beauty, romance, love, these are what we stay alive for. To quote from Whitman, “O me! 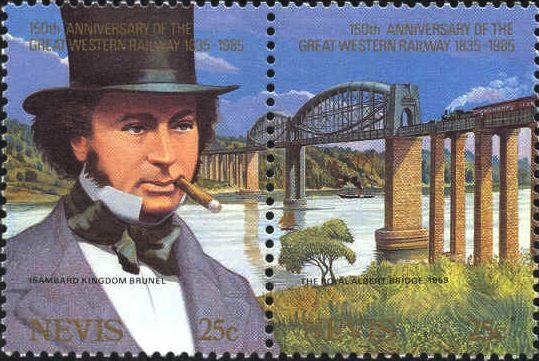 O life!… of the questions of these recurring; of the endless trains of the faithless… of cities filled with the foolish; what good amid these, O me, O life?” Answer. That you are here – that life exists, and identity; that the powerful play goes on and you may contribute a verse. That the powerful play *goes on* and you may contribute a verse. What will your verse be? Research shows that sudden flashes of insight are often right.